Battery Monitor 2.0 now in Qt. Faster, slicker, and more improvements. SGean informs us that Battery Monitor has been updated. Version 2.0 seems to have been Qtified. If you have any feedback for the development team, contact them at batterymonitor@nokia.com. 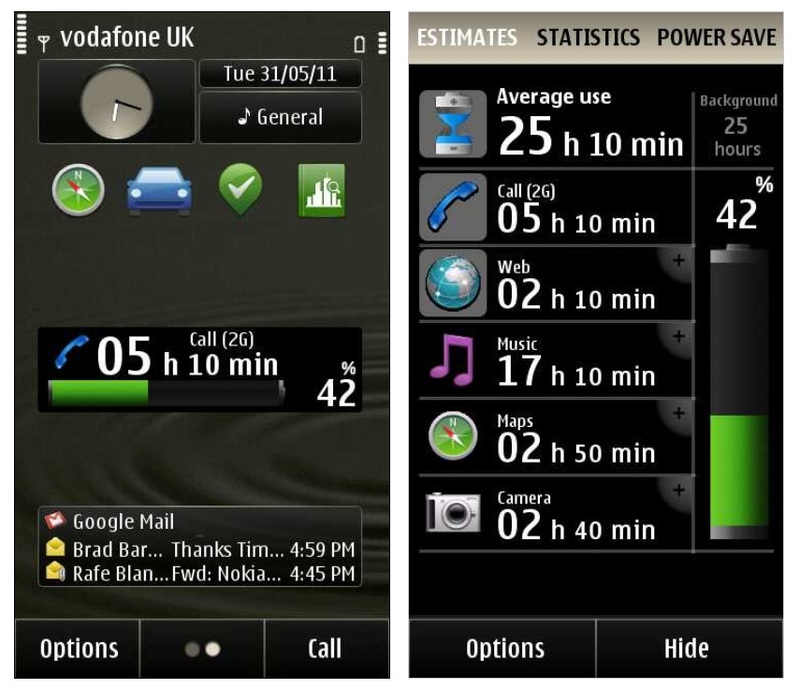 Nokia Battery Monitor shows you application battery life estimates and energy usage statistics. Version 2.0 also provides power saving features and battery health analysis. Please uninstall previous versions of Battery Monitor before installing. I looked around for any current video demoes – whilst not a video yet for 2.0, we are in luck in that Rafe Blandford has reviewed Battery Monitor 2.0. Check out what the app does and what’s new for 2.0. Rafe notes that the move from Web Run time to Qt means it’s slicker, faster along with other improvements. « Eldar Murtazin strikes again – Microsoft to acquire Nokia by end of 2011?